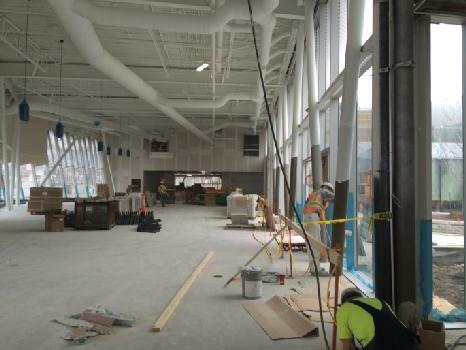 This week at the Civic Centre Resource Library, framing and drywall installation are progressing throughout the building. Painters continue to complete spraying the ceiling and are working on the first coat of the walls at the teen area and office areas on the ground floor. 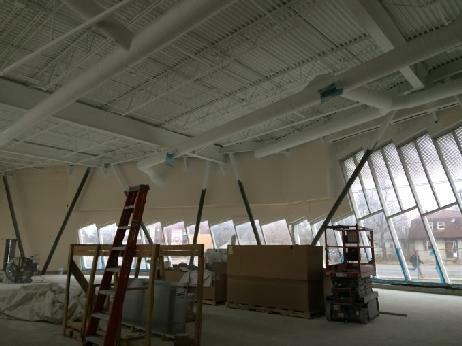 Light fixture installation has started at the adult collection area. Tile work has commenced at the washrooms. View of collaboration rooms at the west. Mechanical work is almost complete in the ceiling space. Painting work has progressed at the ceiling and bulkheads. 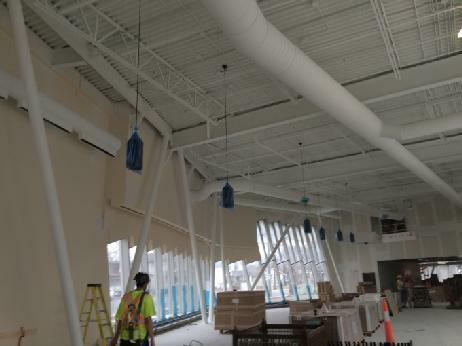 Light fixture installation has commenced at the adult collection area. View of the adult collection area. 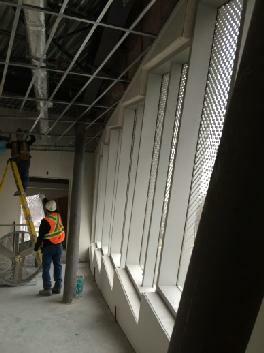 Floor grille installations at the perimeter are ongoing. Prep work is almost complete for tile installation in the washrooms. 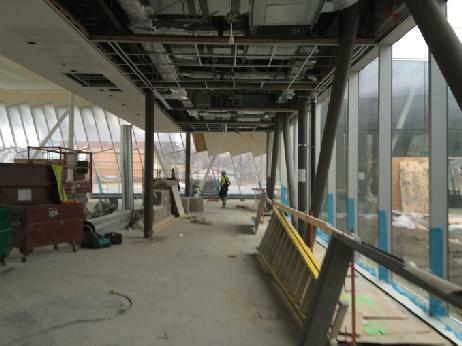 This week at the Civic Centre Resource Library, workers are continuing to install miscellaneous framing around the glazing on the east and south face. Framing work is still ongoing at the main entrance at the south side, and the framing of the vestibule is progressing with drywall installation at the ceiling.Painters are on site and are spraying the ceiling at the children’s zone, moving west towards the proposed computer area. 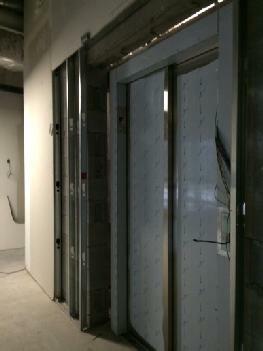 Installation of the elevator is ongoing now that the electrical work is complete. View of east elevation at the main lobby. 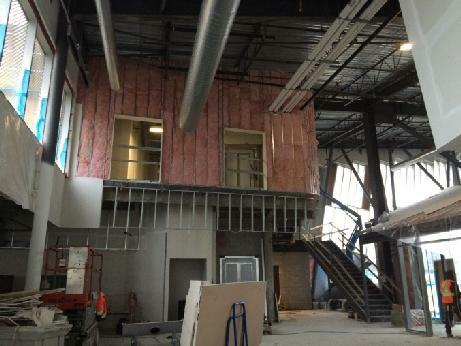 Framing is ongoing at stairwell A. Ceiling spray painting has commenced over the children's area. 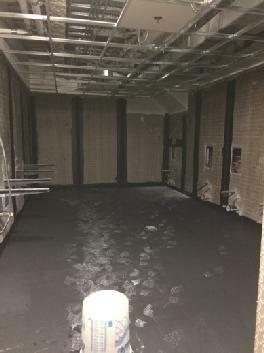 Drywall mudding has been completed at the multi-purpose training room and the teen zone. 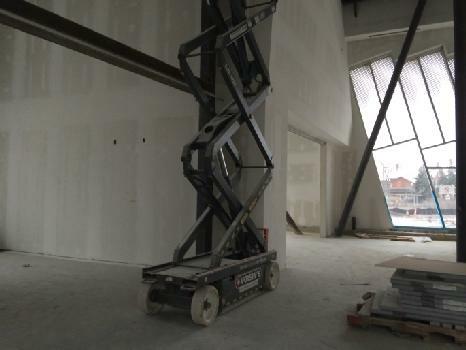 The elevator is in place and final connections are ongoing. 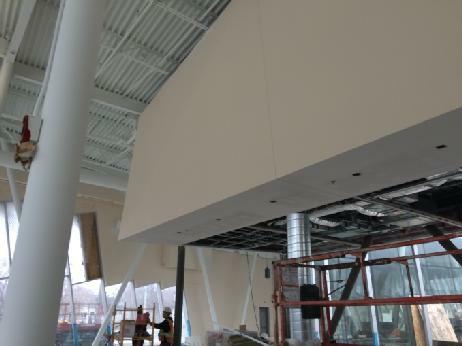 Drop ceiling (T-bar) installation has commenced at the 2nd floor northeast corner.